Do you dream of having extra space? If you’re running out of space at home and don’t want the hassle of moving, then a bespoke timber garden building may be the perfect solution. 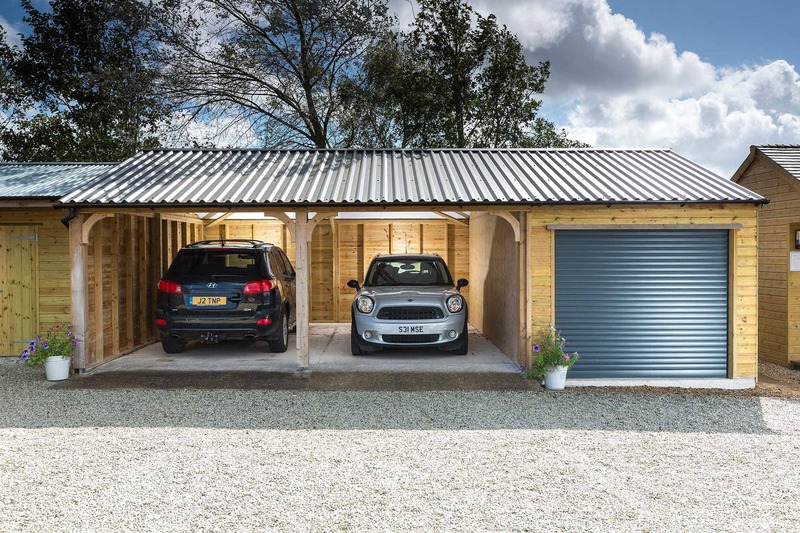 You can add lots of useful space to your home to practice your hobbies, create a warm and cosy place to work or protect your car and garden machinery with a secure garage. Your building will be bespoke, enabling you to have a timber solution in a size that suits you and the space that you have available. Our experts can support and advise you with turning your vision into reality. 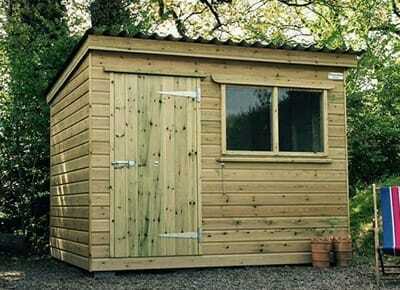 The ultimate in wooden garden buildings, designed, built and installed to match your needs and requirements. 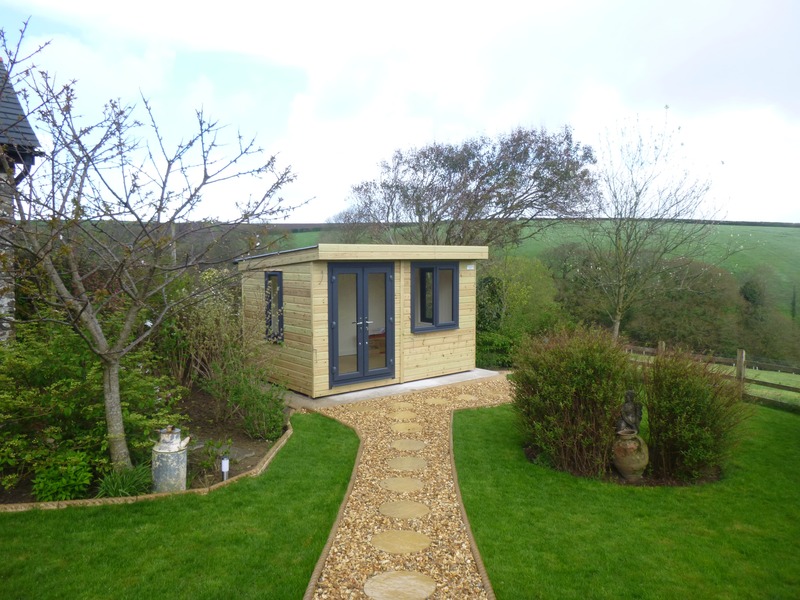 With an apex roof and vaulted ceiling, these Wooden Garden Studios are fully insulated with uPVC windows and doors, providing you with a spacious extra room. If you’d like a little more information on some of the finer details for the Timber Studios, then please take a look at the information page. 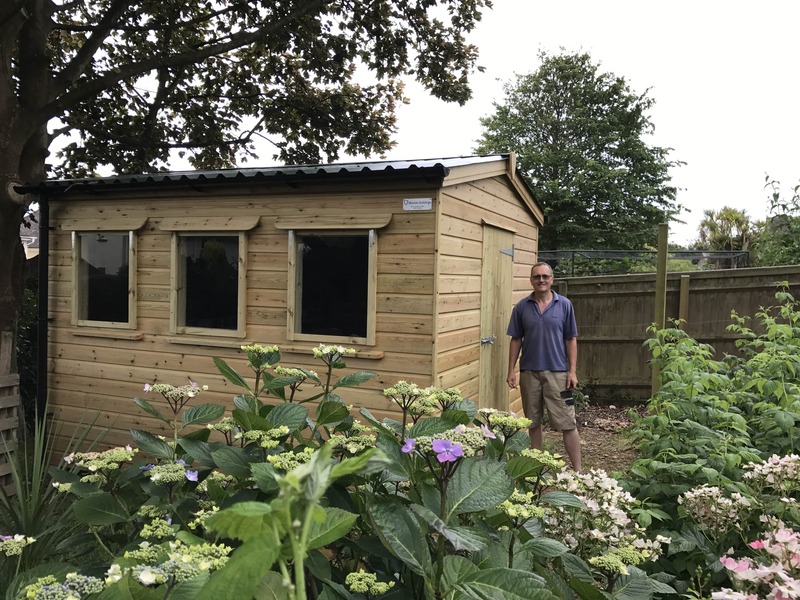 Whether you want to use your Wooden Garden Office as an office to work from, gym, hobby room, reading room, music room, entertainment room or kids den, our high specification buildings will give you a comfortable working environment all year round. Our buildings are completely bespoke - designed, built and installed for you. To make life easier for you an electrical pack included in the price of your timber office giving you LED lighting, power points and a heater with thermostat. If you’d like more information on some of the finer details for the Wooden Garden Offices, please see below. Garden Summer Houses are often personal buildings that someone has dreamed of owning for a long time. We work with you to design, build and install a Summer House that not only meets your requirements but surpasses them with a superior finish throughout. 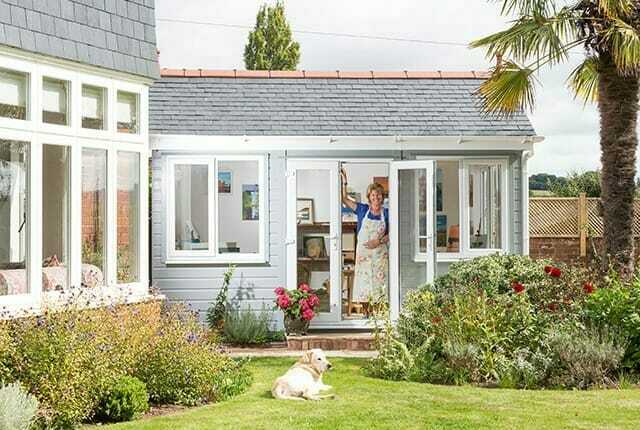 There are 2 Summer House designs in the Shields Buildings range. 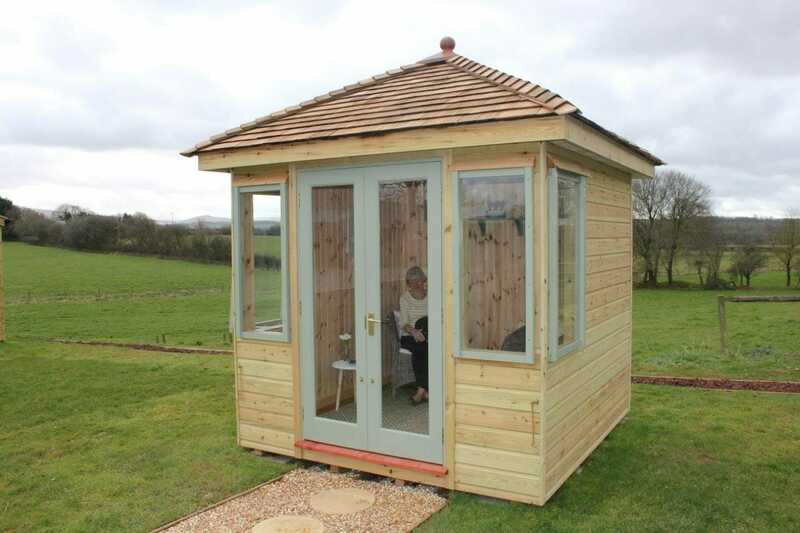 The Salcombe, which is a super example of a cosy garden room with an attractive pyramid shaped natural cedar roof and the Sidmouth, which is a versatile Garden Summer House in a range of sizes with a robust pent roof. They look super inside, being unlined you can see the wood cladding, which gives a lovely rustic feel, or you can choose to have your Summer House lined with tongue and groove pine lining. Your building can be painted or stained to give it a contemporary look, ideal for blending into your garden setting. The catch phrases for garden buildings are becoming ever more interesting, so too are the uses for them. 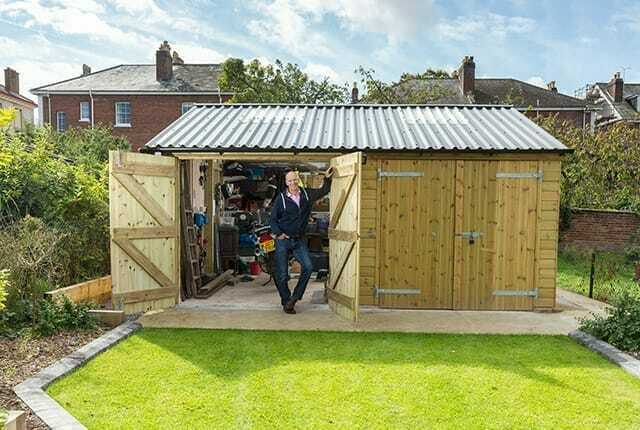 Be it a ‘She Shed’ or ‘Man Cave’ you will find our bespoke wooden sheds come in any size, with great attention to detail in all aspects of the design and construction. If you’d like a little more information on some of the finer details for the Bespoke Wooden Sheds, then please take a look at the information page. Our Timber Workshops can add useful extra space to your home for DIY, a hobby room, storing garden equipment and machinery, cycles or motorbikes. Whatever its use, we work with you to design your perfect space and build and install it for you. If you’d like more information on some of the finer details of the Timber Workshop buildings, then take a look at the information page. If you want a timber building that doesn’t fit under any of the other categories, then we can work with you to design and create the perfect timber solution for you. Once we’ve designed it we also build and install it for you, so your personal timber building comes to life. If you want a timber building that doesn’t fit under any of our options, no problem! Based on our core offering we will work with you to design and create the perfect timber solution for you. You may want to add a store to the side of a garage, have a building part insulated and part non insulated, a garage and workshop combination, the list is endless, just give us a call to discuss your ideas. Once we’ve designed your timber building to your requirements and ensured the building will work for the space you have available, we will build and install it for you – bringing your unique combination building to life.